One of most influential movements in cinema came in the form of the French New Wave. Visionary filmmakers like Truffaut, Godard, and Chabrol sought to shatter the formulas and artifices that dominated mainstream movies. These brilliant auteurs redefined the art of cinema while also developing their own distinct styles and unique techniques. Nestled comfortably in the male-dominated movement was Agnès Varda, a pioneering filmmaker who gave the era a strong female voice. Varda was known as the grandmother of the movement and one of her signature films is “Cléo from 5 to 7” from 1962. The film is about a singer named Cléo (played by Corinne Marchand). She is a tall beautiful picture of health, but we quickly learn she is ill and awaiting test results that could have serious after-effects. The story follows Cléo as she walks through Paris shopping, meeting friends, doing anything she can to take her mind off of the news she expects to receive later that evening. Along the way we see her wrestling with mortality and struggling to maintain any sense of optimism. At around the halfway point of the film we realize that Cléo is also wrestling with her own identity. She has become exactly what everyone expects her to be. Her superstitious maid treats her like a child. Her musical collaborators don’t take her talents seriously. She is treated like a toy of convenience by her boyfriend. All seem indifferent to her illness and unconcerned about her worries. Cléo takes off on her on and for the last half of the film we see her shedding layers of her old self. It’s a rediscovery of sorts in the two hours left until she is to get her diagnosis. “Cléo from 5 to 7” is told through a subtle documentarian style – a technique often used by New Wave directors. Varda tells the story in almost real-time allowing us to gather information by simply following Cléo around. Her camera often sits and observes while other times it’s in a constant state of motion. There are some fabulous long tracking shots specifically of car rides around Paris. Then there are quiet but powerful moments where the camera focuses on Marchand’s face. Varda was known as a talented photographer and we see it reflected throughout this film. Marchand is a nice fit for the role of Cléo. I loved watching her start as a beautiful but scripted human being and then transform into her equally beautiful but truer self. We see her peel off the facade she’s built on other’s expectations and Varda represents this in Cléo both physically and emotionally. The character runs the gamut of emotions which culminates in a final intensely satisfying shot of Marchand’s face. It’s a very interesting and subtly expressive performance that nicely serves Varda’s vision. “Cléo from 5 to 7” is La Nouvelle Vague through and through. Those unfamiliar with the New Wave movement will instantly notice the artistic uniqueness and nuances that have influenced filmmakers to this day. And after so many years this film still feels like something fresh and innovative. That is a testament to Agnès Varda’s remarkable writing and direction and the pioneer vision that she and so many of these filmmakers maintained. “Vivre sa vie” or “My Life to Live” is a French New Wave film that also feels distinctly different from some of the more prominent movies of the highly influential movement. Director Jean-Luc Godard released the film in 1962, two years after his groundbreaking debut “Breathless”. Viewers will undoubtedly see similarities between the two films, but “My Life to Live” differentiates itself both in structure, subject, aesthetic, and style. “My Life to Live” undoubtedly attempts to buck common, overused movie trends – something French New Wave films sought to do. At the same time Godard makes “My Life to Live” distinctly its own. The captivating Anna Karina plays the lead character Nana and she was Godard’s wife at the time. Interstingly, Godard first noticed Karina in a series of Palmolive ads. Godard was preparing for “Breathless”, his feature film debut, and offered Karina a small role in the picture. She turned him down but his persistence led her to be in his next three films and his wife for four years. Their relationship is evident in the movie. Godard’s camera seems enamored by Karina’s face, by her expressions, by her countenance. His concentration on her eyes, the features of her face, the language of her body. Unquestionably much of Godard’s story is told through the lens of his star. The film is broken down into twelve chapters each with basic synoptic captions. The first introduces us to Nana who is at a cafe with her husband Paul. We learn that she has just left him and their infant daughter to pursue acting. The revealing scene paints a complex picture of Nana. Adding to that complexity is the intriguing camera work by Godard and long-time cinematographer Raul Coutard. The focus is mostly on the back of the two character’s heads. The camera shifts back and forth while strategically giving us glimpses of their faces often through a mirror’s reflection. It leaves us curious about Nana and unsure how we are to feel about her. Nana’s acting dream seems unrealistic. We see her working in record shop but apparently she can’t make ends meet. She asks different people to borrow money and one particular scene shows her being forcibly removed from her apartment. Out of a sense of desperation she turns to prostitution. But is it desperation or simple necessity? Nana is never easy to read. She approaches life with an open book mentality yet I always found a cloud of mystery around her. At times she seems impervious to possible consequences of her actions. Other times there is a playful life-loving personality that bubbles out. At other times she feels overwhelmed by her circumstances. Mainly she wants to be able to define her life and she wants to be the one to live it. The film’s look into prostitution of the day adds another level of intrigue. We see Nana grow more and more comfortable and content, but at the same time we the audience begin noticing cracks and concerns within her environment. Godard goes to great lengths to educate us on the mentalities, practices, and laws that made up the Paris prostitution scene of early 1960s. It gives us a better perspective even if it sometimes feels a bit dry and procedural. 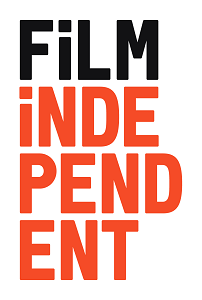 The coolest thing is how the approach to this element draws from the cinéma vérité documentarian style. “My Life to Life” is a captivating film slowed down only by the occasional lulls – moments when Godard’s experimentation feels like experimentation instead of storytelling or progression. Still, it’s hard not to be drawn in by the portrait Godard paints. And his cinematic model Anna Karina is a mesmerizing expression of energy, wonder, and reality. Surround her with intoxicating style, layers of cultural references, and a grounded story and you have “My Life to Live” – a film that is uniquely its own nestled within the French New Wave. “Band of Outsiders” was Jean-Luc Godard’s seventh film and a unique entry into the French New Wave movement. Viewed by some as Godard’s most accessible movie, “Band of Outsiders” is a playful, saucy romp which has influenced a variety of filmmakers through the decades that have followed. While the film may be considered a bit lighter than some of Godard’s other work, many of the director’s signature touches can be clearly seen. Friends Franz (Sami Frey) and Arthur (Claude Brasseur) recruit the reluctant Odile (Anna Karina) to help them pull off a heist. Odile lives in a villa with her Aunt Victoria and a mysterious wealthy man named Stoltz. One day she tells Franz of a large stash of money kept inside the villa. Franz and Arthur devise a plan to steal the money and Odile serves as their insider. But it grows more and more obvious that she doesn’t want to go through with it. She’s not a criminal. She’s actually sad, lonely, and looking for some validation to her life. That’s the only reason she connects with Franz and Arthur. Things are made more interesting by the fact that both men are smitten with Odile (at least to some degree). Franz is low-key and clearly in love with her. Arthur is a rude, rebellious, hellion so naturally Odile falls for him. Godard doesn’t give us the standard tensions or follow the same path as most movies featuring this kind of love triangle. It doesn’t become the focal point of the story. It’s simply a component of their relationships that slightly persuades how things turn out. While the heist is the ultimate goal, the film is about these three characters. Godard treats them as…well…a band of outsiders. They each seem to be living in their own make-believe worlds. They seem to treat life as if it were a movie. We even get moments where Franz and Arthur act out scenes from gangster films. On one hand the trio shows a fresh and energetic approach to living that we see in their frolicking around Paris. On the other hand there is the naive indifference they have to reality and consequences. Only Odile seems to struggle with this. While the characters and their relationships are the central focus, there is the heist angle which is also unique and unconventional. At times the film feels like a prototypical American crime drama that has been infused with French New Wave irreverence and style. 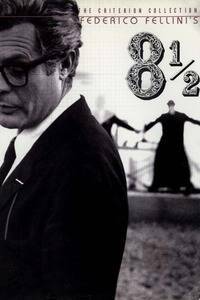 The story sets its aim on a pretty familiar target, but Godard’s auteur’s approach gives us more than the normal heist movie tropes. Our trio are the most inadequate and unprepared people to be trying such a score. 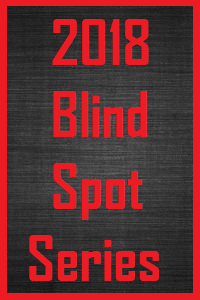 We see it in their lackluster planning and in the disastrous end results. As with most of Jean-Luc Godard’s movies, there are certain moments that make the film unquestionably his. There is a great cafe sequence featuring a fun and crafty ‘moment of silence’ and the famous “Madison Dance” which inspired Quentin Tarantino’s dance sequence in “Pulp Fiction”. There is the equally famous ‘record-breaking’ race through the Louvre museum – a chipper and playful moment just before things take a darker and more realistic turn. And of course there are numerous artistic references to poetry, music, and film. I could mention several other things that make “Band of Outsiders” a good film. I could mention the wonderful performances led by the magnetic Anna Karina. She was Godard’s wife at the time and his camera loves her. 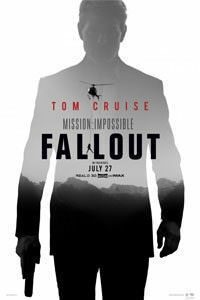 I could mention the film’s smart and effective blend of excitement and pathos. But ultimately it comes down to a fine filmmaker, good material, talented performers, and that spirited French New Wave perspective. For me that’s a perfect recipe for a great movie. I really appreciate the filmmakers of the French New Wave. They left an unmistakable mark on motion pictures, and their styles and creative approaches stand out in every film they made. It was a movement of experimentation and of bucking the trends of moviemaking that they believed had grown stale. “Jules and Jim” showcases this in every facet of the movie. It’s playfully neorealistic both in its use of the camera and in its strikingly grounded narrative. 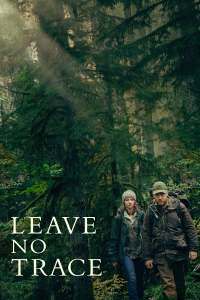 But aside from its influential methods and techniques, I found the story itself to be an utterly fascinating look at friendship and the bumpy road that sometimes accompanies it. Jules and Jim first meet in Paris in 1912 and they immediately become friends. A narrator whisks us through their early days as young men in Paris and we watch as a foundation is laid for what should be a lifelong friendship. Jules (Oskar Werner) is a shy and reserved Austrian who can’t seem to find the right girl. Jim (Henri Serre) is just the opposite. He’s a confident and outgoing Frenchman whose never had a problem with the ladies. Both enjoy art and poetry and they spend a lot of time just sharing the good things from their cultures with each other. All of their earlier and happier days fly by in the opening few moments of the film but that’s okay. Truffaut is clearly setting the table for the more important part of the story that lies ahead. Yet while brief, these opening moments are beautifully woven together and Truffaut’s camera allows us to perfectly comprehend how close these two friends are. Through a series of events the two cross paths with the free-spirited Catherine (Jeanne Moreau) who takes their lives down an unpredictable road. Eventually their jobs, a war, and other things separate Jules and Jim, but it’s Catherine who always serves as the new centerpiece to their friendship and it’s the complicated relationship between the three that keeps bringing them back together. Moreau is superb and her character is a difficult one to place. At times she’s energetic, vibrant, and full of life. But at other times she’s disconnected, neurotic, or in states of depression. The different dynamics she brings to her already complex relationships with Jules and Jim makes for incredible cinema. The twists that the film applies to relationships and love are profound and almost feel experimental. Things take such unorthodox and unconventional turns and they seem destined to end badly. The most obvious casualty would seem to be the friendship between Jules and Jim yet no matter what trial or contention the two face, their loyalty to one another stands. I’m not sure how much sense all of this makes because I’m desperately trying to dance around the details and I refuse to spoil it for anyone. Let’s just say Truffaut takes Jules and Jim down some roads that few people could or would endure. All of this is told through the lens of a true visionary. Truffaut and other influential groundbreakers like Godard and Chabrol were forging new paths into cinematic storytelling. You see it in every frame of “Jules and Jim”. Truffaut’s camera adheres to no common or popular formula of the time. It’s living and moving and so many times he captures the perfect angle or presents a new technique. It’s the picture of what the French New Wave was all about. It’s such a departure from the traditional moviemaking of the time both in terms of style and story. “Jules and Jim” may not always be mentioned in the same breath with Truffaut’s own “The 400 Blows”, Godard’s “Breathless”, or Chabrol’s “Le Beau Serge” but it deserves to be considered as one of the French New Wave’s best. 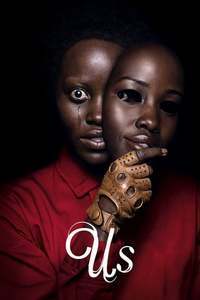 It’s a film that’s lively and spirited while at the same time being a bit disturbing and perplexing. There are layers to peel back and new things to discover. In other words “Jules and Jim” offers a wonderful experience both technically and emotionally. Moreover it’s a firm reminder of why we still go to the movies. There are certain movies that will always be remembered for their undeniable influence. Such is the case with “Breathless”, the first feature film from acclaimed director Jean-Luc Godard and a major player in the French New Wave of the late 1950’s and early 1960’s. French New Wave was a bold and experimental movement that toyed with new techniques of filmmaking and storytelling. The stories were often rooted in and influenced by the social climate of the time and ambiguity, realism, and sometimes romanticism were key tools used to craft these stories. French New Wave also had several distinguishable visual techniques that set it apart from the contemporary filmmaking of that time. New Wave directors experimented with long takes, creative tracking shots, handheld cameras, and fast scene changes. These techniques originated in low-budget necessity but they were also intended to buck the traditional brand of filmmaking. Godard and “Breathless” were instrumental in defining the movement. Nearly every technique unique to French New Wave can be found in “Breathless” and it has certainly made an important mark in cinema history. The movie follows around a young criminal named Michel (Jean-Paul Belmondo). His forte is stealing cars and petty crimes but things go bad when a simple car heist results in him killing a cop. He ends up on the run in Paris trying to secure some money to make his escape. Michel is not a good guy and it’s hard to get that impression from the film. But an argument could be made that, in a sense, the movie glamorizes Michel’s lifestyle. There is some legitimacy to that but I think it overlooks a major part if the story. Godard does try to emphasis a sense of cool about Michel through his freewheeling attitude, dangling cigarettes, and thumb rubs across his lips. But I feel his coolness is more his perception of himself – a misguided perception more rooted in arrogance than reality. It’s a combination of his arrogance and his heart that proves to be his biggest obstacles. He fashions himself after movie stars such as Humphrey Bogart and he seems infatuated with his own press. Throughout the movie we constantly see him buying newspapers in an attempt to get information no doubt, but also to bask in his own headlines. He walks the streets of Paris, impervious to his wanted status, with nothing more than a pair of sunglasses to hide his identity. Even as scrolling marquees across the city report of the police manhunt drawing closer, Michel still takes to the streets of Paris with an almost cocky sense of invincibility. He also finds himself smitten with Patricia (Jean Seberg), a young American student at the Sorbonne and aspiring journalist. She’s a seemingly insecure young lady who ends up falling for Michel but with an ever-present sense of uncertainty. Michel often insults her and talks down to her yet she grows more and more fond of him. I believe it’s because she sees through his tough guy facade and finds something she can cling onto regardless of how unwise it is. She struggles with whether to stay with Michel or not but even after finding out what he’s done she can’t just walk away. In a very different way Michel finds himself in the same boat. It’s some compelling stuff. “Breathless” is a little rough around the edges yet it’s exhilarating cinema. Much of the script was written as they were filming and it features a lot of improvisation. But I love the spontaneity that comes along with that both narratively and visually. Hand-held cameras, a signature of the movement, are tremendously effective both in giving it a unique style as well as capturing some of the beauty of Paris. In fact, “Breathless” features some of the best views of the city you’ll find in cinema. The movie is also recognized for its fresh and bold use of jump cuts – a film editing technique where a scene makes quick jumps forward. There are so many filmmaking devices in “Breathless” that have influenced directors for years and still do today. And even though the storytelling structure may feel a bit jarring, the film is hypnotic and its mark on cinema cannot be overstated. 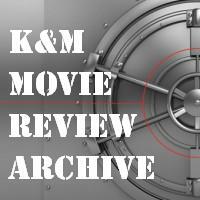 Years ago as I began to grow as a movie fan I opened myself up to foreign cinema. I can’t express how thankful I am for that decision. And while I still don’t see as many foreign language films as I should, over the years foreign cinema has introduced me to some truly great movies. 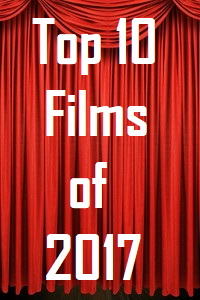 From the far east to the middle east, from South America to Central Europe, there are wonderful filmmakers making movies all over the globe. While I’ve dipped my toes into the films of many different countries, I’ve found French cinema to be one of my favorites. So I thought it would be fun to look at five phenomenal French language films. 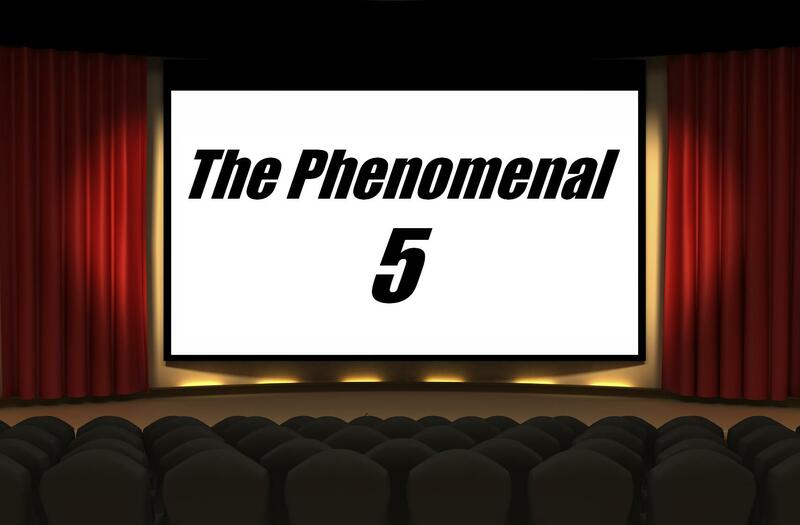 This is the first Phenomenal 5 dedicated to foreign cinema but it won’t be the last. Now there are many French films that I haven’t seen so it would be silly to call this the definitive list. But there is no denying that these five French movies are nothing short of phenomenal. #5 – “MON ONCLE” – Jacques Tati only made six feature-length movies but that’s all it took to establish him as a fantastic filmmaker. 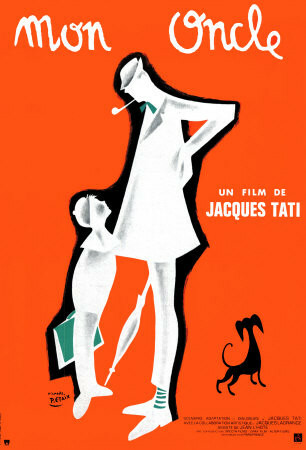 “Mon Oncle” is the consummation of Tati’s many talents all wrapped into one delightful creation. The film features Tati’s signature style of visual storytelling and comedy as well as his familiar critiques of materialism, consumerism, and social elitism. But at its heart is a very funny story featuring one of the most lovable characters you’ll find – socially awkward but certainly lovable. Monsieur Hulot’s sweet and friendly demeanor is infectious and he’s always content regardless of his state. But perhaps my favorite thing about this film is the incredible sense of community that Tati is able to capture. Hulot’s working class neighborhood is filled with life, energy, and an assortment of entertaining characters. Those things also perfectly describe “Mon Oncle”. 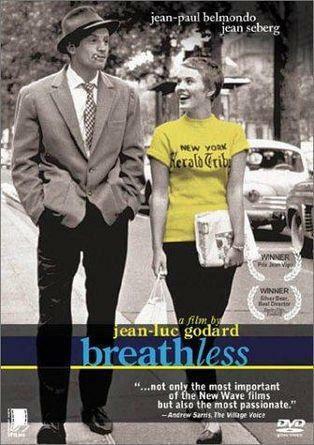 #4 – “BREATHLESS” – Acclaimed director Jean-Luc Godard’s first feature-length film was “Breathless” from 1960. Long considered one of the signature movies from the French New Wave, “Breathless” remains to this day a highly influential film. In the movie Godard went to great lengths to buck the traditional trends in filmmaking by using several innovative visual techniques now forever associated with the French New Wave. But “Breathless” isn’t all about style. There’s also a very good story born out of the social climate of 1960 Paris. 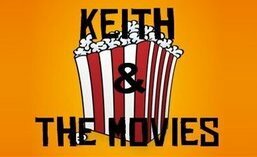 At first I had a tough time gathering my thoughts on the movie. But after processing the film and looking closer at the story, it has become a true favorite of mine. Jean-Paul Belmondo and the lovely Jean Seberg are fantastic and Godard gives us some of the best street views of Paris. Groundbreaking and highly entertaining. #3 – “MR. HULOT’S HOLIDAY – I really want there to be variety in every Phenomenal 5 I do, but for this list I couldn’t leave off either if these two Jacques Tati classics, the aforementioned “Mon Oncle” and “Mr. Hulot’s Holiday”. “Mr. 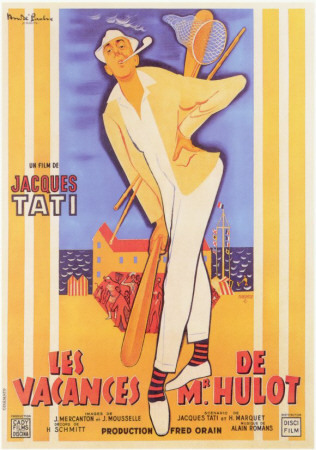 Hulot’s Holiday” is my favorite Tati film and one of my favorite comedies of all time. Every ounce of Tati’s creative genius is on display in this film. As a director he has an incredible eye for structuring each scene and capturing each moment. In front of the camera as Mr. Hulot he brings out the comic brilliance of legends such as Keaton, Chaplin, and Lloyd. “Mr. Hulot’s Holiday” is a very visual comedy with a heavy emphasis on sight gags and perfectly timed humor. There are so many great laughs in this simple but hilarious picture and it’s a profound example of how true comedy can be done without the gimmicks and clichés we often see today. #2 – “AMELIE” – One of the most delightful French films I have ever scene is “Amelie” and delightful is the perfect word for it. It’s the story of a shy and reserved waitress and all of the quirky individuals that make up her everyday life. She’s a lonely soul who tries to overcome it through her playful imagination. 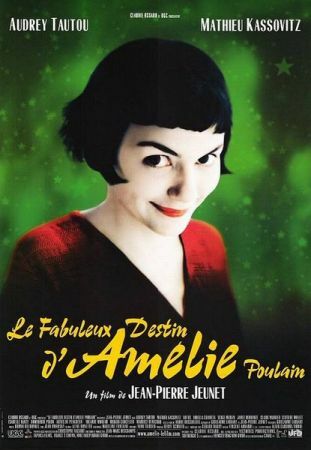 The perfectly cast Audrey Tautou is magnificent as Amelie who lives her life in beautifully filmed Montmartre. But there’s also the wonderful assortment of side characters that give this film such life. There’s the mysterious painter neighbor, her wacky cafe coworkers and regular customers, the mean jerk of a grocer. I can go on and on but regardless of who they are, Amelie has a positive impact on their lives. There is so much charm mixed with laugh-out-loud hilarity that permeates this entire picture. Gorgeous cinematography, brilliant writing, and pitch-perfect performances. “Amelie” is a joy. #1 – “THE 400 BLOWS” – Much like “Breathless”, Francois Truffaut’s “The 400 Blows” was a pivotal film in the French New Wave. It’s arguably the most powerful movie about adolescence and it’s an intensely personal film for the acclaimed director. 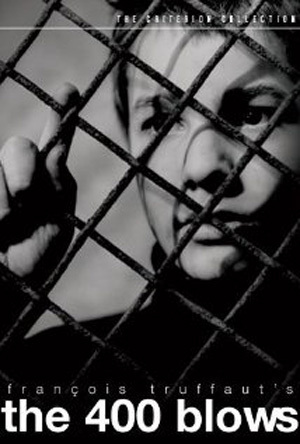 Based on Truffaut’s own childhood, “The 400 Blows” looks at the life of young Antoine in early 1950’s Paris. He’s viewed as a troublemaker by the adults in his life and he finds the streets to be his only refuge. There are several stinging and uncomfortable scenes but all of them lead to the final shot which is one of the most potent in film history. There is such feeling and emotional pop throughout as we see this challenging and often times difficult world through young Antoine’s eyes. There’s also an undeniable technique and style behind the movie’s visual presentation. It’s an amazing expression of Truffaut’s vision and when combined with the brilliant screenplay the result is a glorious piece of cinema history. 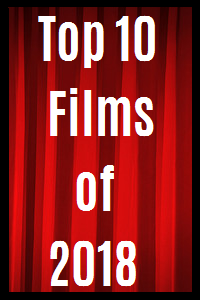 So there are my five picks for the most phenomenal films in French cinema. Agree or disagree – please leave you thoughts below. Also be watching throughout the next several days as I review several of these and other French films on the site.